More than moving servers and workloads, data center consolidation relies on changing the way agencies manage data. The Data Accountability and Transparency Act was enacted to make information on government spending more transparent. Doing so requires agencies to agree to and implement data standards so that information can be shared across government and openly with the public. This implementation of standards has been a stumbling block for compliance. 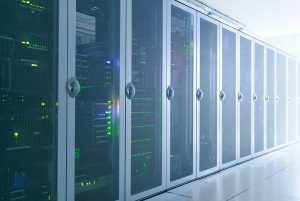 Additionally, while cloud-first has been a rallying cry for data center consolidation, some argue the mantra should be data-first. Agencies first have to understand what data they have, where it is currently housed, and how it is accessed before they can make an informed decision to move systems to the cloud. For this reason, data management is a key focus of the President's Management Agenda. To make sense of all of these complex and interconnected issues, there are several events that feature government and private sector leaders. These events allow attendees to share strategies, successes, and even failures while helping to guide the next stage of data center consolidation. Protecting Your Agency's Applications, Data, and Users (April 30, 2019; New York, NY) -- The journey to the cloud has many drivers - accelerate modernization, scale beyond the limitations of data centers, and innovate faster with cloud-native tools and services. This event looks at how to cloud platforms while maintaining a zero-trust security posture. .NEXT Conference (May 7-9, 2019; Anaheim, CA) -- With a subtitle of, "Invisible Clouds, Visible IT," this event is focused on discussing and demo-ing the latest in data center and enterprise cloud technologies. Summit on Government Performance and Innovation 2019 (June 5-6, 2019; Minneapolis, MN) -- This event brings together innovators, disrupters, and civic entrepreneurs to discuss how to help make government work better. There is a focus on how to use data to make decisions that impact the quality of life in our communities. Cloud Smart Talks (June 20, 2019; Washington, DC) -- As data center optimization and cloud initiatives have driven digital modernization, agencies are constantly looking for the latest innovations that are creating practical transformation within federal IT. This event includes discussion of hybrid cloud, rented versus owned infrastructure, IoT and edge computing, cloud-native workstations and more. ATARC Federal Cloud and Infrastructure Summit (June 25, 2019; Washington, DC) -- This educational, one-day symposium will examine the cloud tools and techniques being used by the Federal Government to provide agencies with greater efficiency and cost savings. It includes speakers and panels with government thought leaders. Let us know what events are helping you sort out all of the details on data center consolidation. Share your thoughts in the comments. This entry was posted in Event News Articles and tagged Cloud, consolidation, data center, modernization, policy, regulation, Security by Kerry Rea President of GovEvents. Bookmark the permalink.